Dharamsala (Arvind Sharma): As the cold chilling spell has set in the northern regions of India, the state of Himachal Pradesh is all set to witness hot boiling cricket action amidst the picturesque valley of Dharamshala which will host the 5th ODI between India and England. In the past too the cricket stadium has been blessed with accolades owing to its lush green outfield and fair playing surface in the IPL and domestic matches. 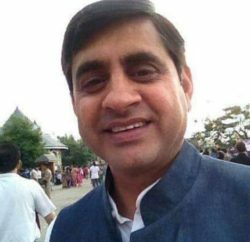 But this time around the high octane action will bamboozle people from kangra region as well as other states. 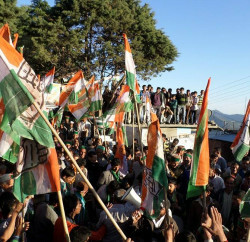 Both teams arrived at Gaggal Airport on Thursday afternoon by a chartered flight and headed directly towards the “The Pavilion”- the five star residential complex of Himachal Pradesh Cricket Association (HPCA). HPCA officials along with the girls from Central University of Himachal Pradesh (CUHP) in traditional Kinnauri dresses welcomed the members of the both teams at the airport, whereas HPCA president, Anurag Thakur welcomed the teams at “The Pavilion”. The match was originally scheduled as a day-night fixture, has been changed to day time from 9 am – 5pm to avoid a bone-chilling evening under floodlights. 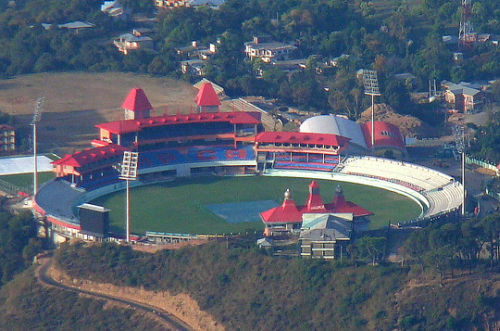 It match is first international game to be hosted by Dharamsala. 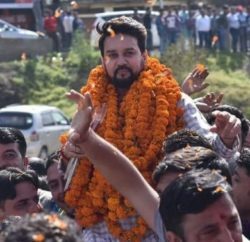 “It is going to be a historic day for the small hill state,” said HPCA President Anurag Thakur who has been instrumental in setting up the ground adding that after achieving the feat next step would be to hold a test match. Meanwhile, worried over the unpredictable weather in the region, Anurag Thakur also visited temple of local deity- the “serpent god”- Indrunag and performed a “Puja” for a clear weather. It is worth mentioning that HPCA earlier had regular performed “Pujas” at the temple during IPL matches praying the Indrunag for clear weather and practice has been proved successful on all occasions. Indian team has already wrested the series as it is leading the series with unassailable 3-1 lead and likely to give chances to the rested players like Amit Mishra and Cheteshwar Pujara. Meanwhile, the English players will enjoy playing in the town in homelike climatic conditions and will try to reduce the margin in the series to 3-2. The Dharamshala India-England match being the last of the current series, the prize distribution ceremony is expected to attract top BCCI officials to the venue.